Who are the clients that I work with? I remember my old days in the agency. Every credentials presentation we’d have to put together a logo soup of our current clients & brands. I never did one of these for my photography business … until now. And I am so blessed to be able to call every single one of the names on here my client. It represents 5 years of really hard work to get to this point. And I know that the next 5 are going to bring ever more hard work and adventures. 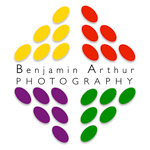 So, a big THANK YOU to all of those featured on Benjamin Arthur – Clients – you know who you are – and a big WELCOME to anyone thinking of coming aboard! Please get in touch via the Contact form here.